Norrona is a Norwegian brand of outdoor clothing and sports gear for men, women, and juniors. You can shop based on different activities--whether it's hiking, skiing, mountain biking, and more. With Big Apple Buddy’s personal shopping service, you can now buy direct from the Maui Jim online store anytime, anywhere. At Norrona, you can shop from some of the most high-tech and advanced clothing and accessories based on what activities you prefer. The Iofoten Gore-Tex Active Anorak Jacket was built to be the brand's most lightweight and breathable backcountry jacket for men. It is both waterproof and windproof and weighs under 500 grams without the powderskirt--so it's the perfect jacket to pack with you on your adventures since it is so lightweight and won't take up lots of room in your suitcase. This jacket includes important features like hand gaiters, mesh pockets, a removable powderskirt, and a improved hood with a single-handed back adjustment. 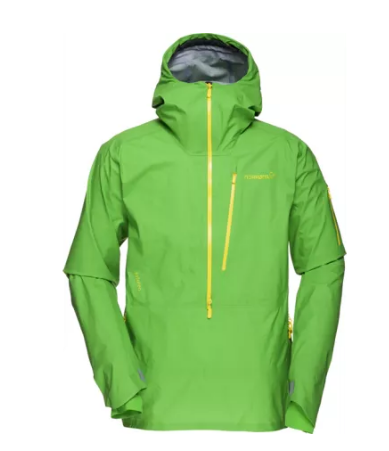 This jacket comes in three different colors--blue, green, or orange, which are all bright colors that will help you stand out if you're doing any outdoor activities at night. There are plenty of great options for women at the USA Norrona online store as well. The Gore-Tex PrimaLoft Parka is a unique jacket that will keep you warm throughout all different kinds of weather throughout the winter. 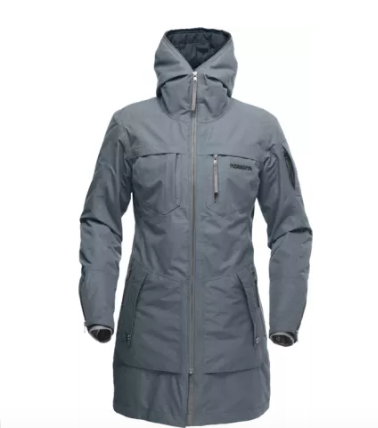 This jacket combines Norrona's most technical fabrics with a fun and unique design--so you'll have a comfortable garment that will keep you warm and protected from the weather throughout the winter weather while also being a flexible piece that you can wear every single day. It'll also stick out from all the other bulky winter jackets in your closet--this parka is a fashion statement in itself! This jacket includes hand-warming fleece pockets and is both windproof and waterproof. You can also shop from a variety of backpacks that will make for great travel companions throughout all of your outdoor adventures. 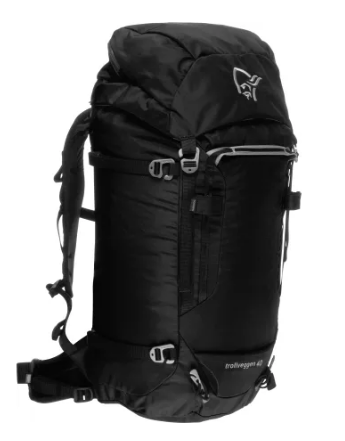 The trollveggen 40L Pack is a durable mountaineering and climbing backpack for women, designed to be functional and comfortable for vertical movement. This backpack is a great choice for carrying heavy loads, but you also have the option to strip away the back plate, aluminum stay, and hip belt if you want to make it a bit lighter. This bag will comfortably hold all of your essentials while still allowing you to move about freely and comfortably. It also comes with a 5 year warranty! Unfortunately, the USA Norrona online store does not currently offer international shipping. However, Big Apple Buddy, your personal shopper, can help you buy products direct from the official USA Norrona online store and ship them to your doorstep, no matter where you are in the world. If you would like to buy from the USA Norrona online store, simply let us know which items you would like to order (by filling out the form below) and we’ll get back to you with a free international shipping quote within 24 hours!